This model is one of the best known of the numerous armored cars used by the Japanese Army and Navy in China in the 1930s. 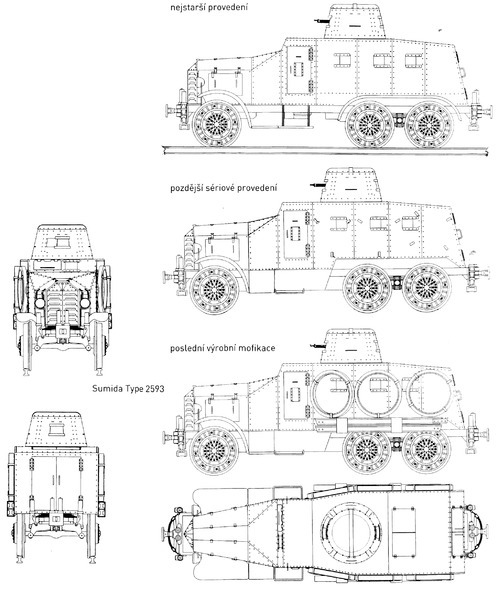 This was essentially a broad gauge, massive armored car, designed to be placed on standard tracks in China for long range patrols. Its roots can be traced back to a request from the engineer units of the Japanese army which operated the modified Type 91 truck. They requested an entirely armored and armed vehicle. It was manufactured by the Ishikawajima Motorcar Factory, but production figures remain elusive. 100 or 1000 is the number most often presented, but these numbers are dubious at best, especially taking into consideration the low production figures of other vehicles of the time. 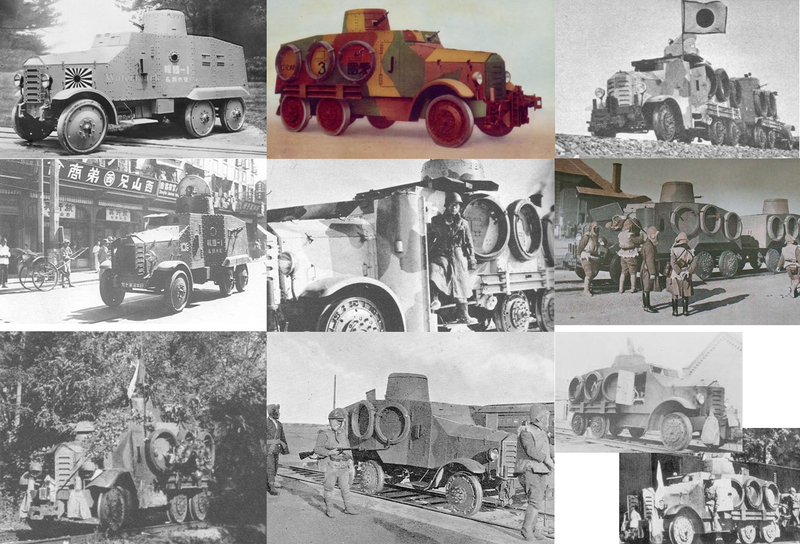 The Type 93 So-Mo was perhaps the most produced and most used Japanese armored car of the interwar. The Type 93 was largely based on the Type 91 6×4 truck, using most of its hull and chassis. The rolled sheets of steel armor were bolted and riveted on a metal frame. It went up to 16 mm (front), 11 mm (hood), 8 mm sides and rear, 6 mm on vertical surfaces, while also being angled: upper front 45°, lower front 10°, vertical (aft) 15°, upper rear 85°. Slopes were rare and shapes were rational and simple, as Japanese engineers preferred to focus on ease of manufacture instead. 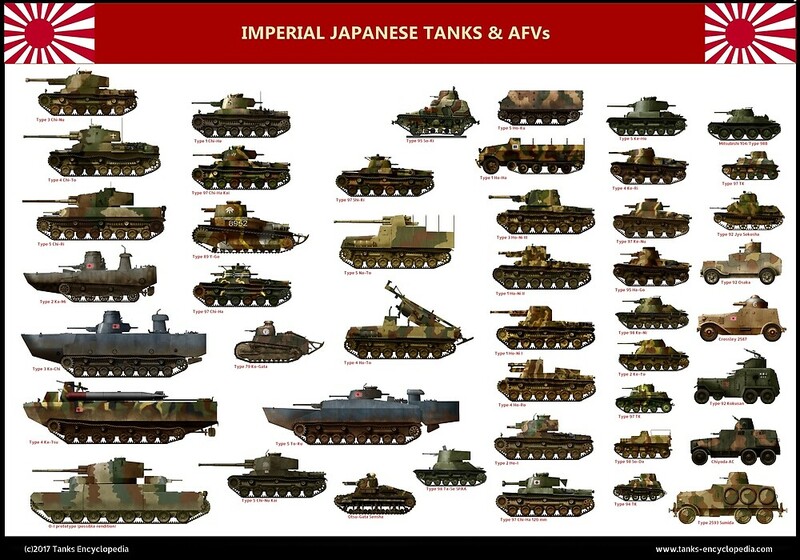 Furthermore, real threats in China for these vehicles were absent. The engine compartment housed a 6-cylinder petrol producing 40 hp, enclosed in an armored hood with 11 mm thick frontal two-parts ventilation doors. The sides received hatches with hinged lids. The crew compartment was right behind the engine, with a driver at the front right, seeing through a folding armored lid. A port for a portable machine gun was located on the left side. The fighting compartment was roomy enough for 4-5 men, depending on its missions and configuration. A typical crew was composed of a driver, mechanic, commander and three gunners/loaders. The crew can access/exit through side doors and a double door at the rear. On the roof was installed a cone-like riveted turret (20° slope) with an upper semi-circular upper hatch. In a front, small recess, was mounted a 7.7 mm light machine gun. The So-Mo had a standard front wheel drive, the two rear axles being idle. The weight was split unequally, the front wheels having to support 2.31 ton of the total weight, while the rear ones only supported 2.69 tons. It had a mechanical gearbox and propeller shaft. The suspension consisted of semi-elliptical springs. All wheels were made of alloy tubeless tires, which greatly reduced traction and increased ground pressure, but simplified installation on rails. To move along these, special metal bands were carried, rolled on the sides of the hull. For conversion, four jacks were used, lifting the vehicle on the rails, an operation taking about 10 minutes. The front and rear of the chassis could also receive couplers and buffers to allow linking with regular trains. In addition, these vehicles had an adjusting system to allow using the different track gauge in Russia and China. The Type 93, also known as the “Sumida”, saw service after 1933 and the first vehicles were rapidly sent to China. The peak of their activity occurred in 1937-1938, as hostilities erupted in densely populated areas, taking good use of the extensive network of railroads. In particular, So-Mos were used in the capture of Shanghai (autumn of 1937). Inside the occupied part of China, the Type 93 was a rare occurrence and and for the most part used roads instead. 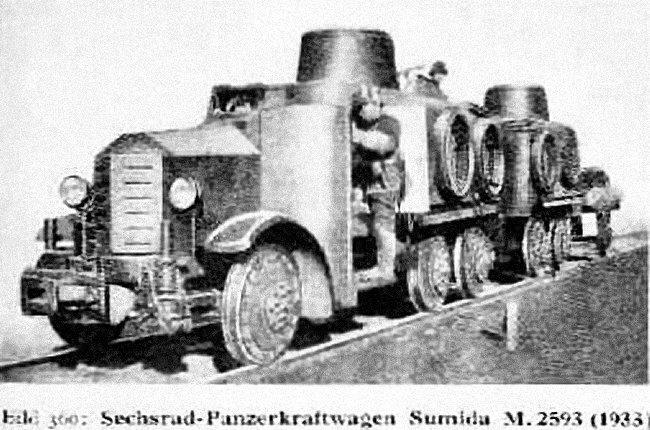 When on tracks, the So-Mos were sometimes used in conjunction with regular trains or autonomous, using a “push-pull” arrangement. These had excellent speed: 40 km/h (25 mph) on road and up to 64 km/h (40 mph) on tracks. Some of the vehicles were equipped with a 100-horsepower gasoline engine. After the end of the active phase of the invasion of China, the So-Mo was only used for patrols and as outpost liaison vehicles. Type 93 So-Mo prepared to go on rails. Notice the tires mounted on the side. 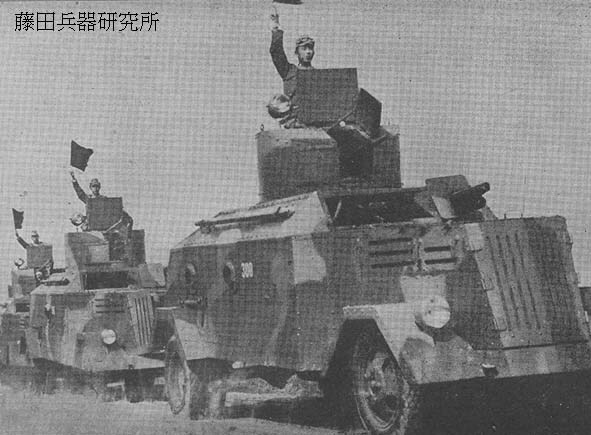 Type 93 So-Mo Drasine (two vehicle back to back, allowing a quick reverse). Apparently, another better quality version of this picture shows Chinese soldiers in winter paddled clothing and fur hats inspecting the vehicle, probably in the Chinese Northwest desert.